Strong acids. 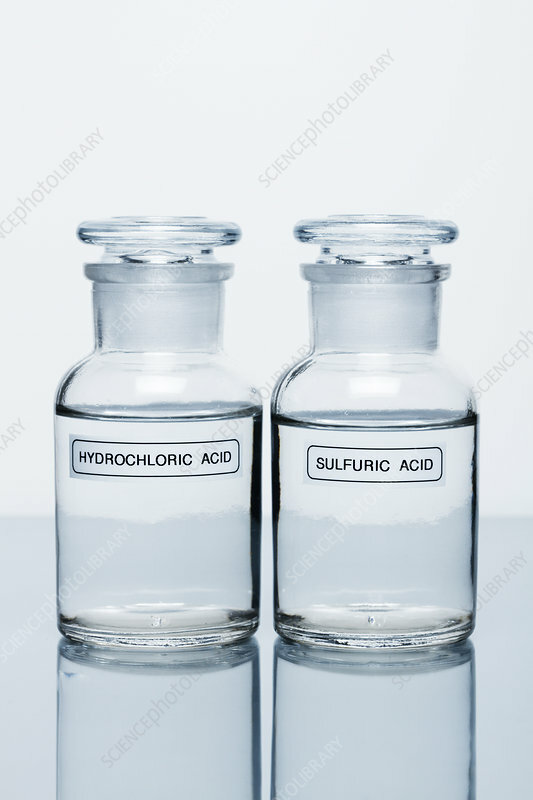 Hydrochloric acid (HCl) and sulfuric acid (H2SO4), both 1M concentration, in reagent bottles. These are common strong laboratory acids.